I wanted to add some comments to the topic of monopod reviews that should be good food for thought for anyone looking for the best monopod to buy. In addition to reviewing photography equipment, I also read a lot of reviews written by other customers on various retail websites. This is a great way to find out what issues or problems one should watch out for before buying a monopod or any other merchandise or service. One of the issues with cheaper monopods is the tendency for the plastic camera-mounting knob to sometimes break internally, making it extremely difficult to remove your camera from the monopod. The Dolica WT-1003 sells new for around $15 so you can imaginative that it will not be as durable as a carbon fiber monopod. The Dolica WT-1003 67" monopod is rated to support 6.7lbs, has 4 leg sections and weighs less than one lb. It is made of lightweight aluminum alloy; has a retractable spike foot, built-in wrist strap, and comes with a monopod bag. It is rare , very rare to find a product that has nothing but 5 star positive reviews. Unfortunately, 100% perfect client satisfaction is very hard to achieve. Over 87% of Amazon buyers of this monopod rated it at 4 or 5 stars (out of 5). Handle it gently, use it in it's intended capacity and you can't beat the value you get for the cost of this monopod. Join in and write your own page! It's easy to do. How? Simply click here to return to Monopod Reviews. If you are looking for a top quality monopod and you don't mind investing top dollar for one of the best monopods money can buy, you may want to consider the Gitzo GM3551 Carbon fiber 5-section Monopod. Gitzo and Real Right Stuff are known as the top two sources for outstanding quality when it comes to monopods. They usually get the highest ratings in monopod reviews. The G-Lock system is the new improved system to lock the legs. This uses a gravity lock effect which essentially means the heavier the load the sturdier the lock. The Gitzo G-lock column locking system; and the superb Gitzo construction. *Carbon fiber makes it strong and very light. Six-x multilayer carbon fiber means 30% lighter than their previous already-light generation of monopods. *Collapses short enough to fit in carry-on luggage due to its 5-section feature. *The GM3551 is more versatile and extends taller than the GM5541. You can get above-the-crowd type of photos. Also is tall enough to use when you are standing on a steep downward slope. *The G-lock leg joints adjust real fast. *For photographers 6' and above, you won't have to stoop over to use this monopod. *You won't get the typical pinching or blood blisters when using the G-locks like you can get with traditional lever-leg locks. The ratings given by buyers of the GM 3551 on one of the largest online photography equipment retailers averaged 4.9 out of 5.0. I have read many monopod reviews and getting 40 5-star, 3 4-star and no 3, 2 or 1 star ratings is almost unheard of. One tip to remember with this particular monopod. Tighten the foot nut before you use your monopod. Some people have reported losing the foot during a photo shoot. People who buy this quality type of tripod often combine with with an Arca Swiss or Really Right Stuff ball head. u should have discussed feet and uses for other than mounting a camera. I purchased a portrait background from Denny manufacturing and they were having a promotion that included a free monopod with the purchase. I don't know who actually made the monopod. It only has a Denny's sticker on it. It's very lightweight and it holds my camera quite securely. It does have a limited use because it is not practical to use it when I want to aim upward or downward when I am taking nature pictures. It definitely needs a ball head or a tilt head to make it more versatile. 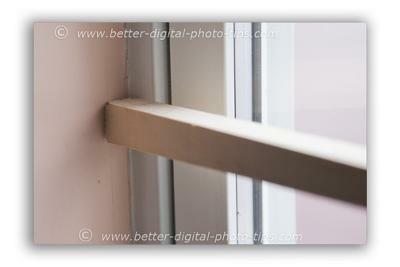 It does make it possible to use a slower shutter speed and still get a sharp picture especially when in telephoto mode. I like this page on monopod reviews. Comments made by the reviewer are centered around the look and feel of this monopod After all, this is very important to consider since this is a product you will be handling. I often tend to get obsessed with technical spcifications when comparing products. Ball-head is only about 1 lb. when it's extended feels like it was meant to be together. Ball head can rotate to 90 degrees for portrait. Then back to landscape position. You can do multiple crazy angles with this combination rc2 plate gives real quick mounting for on and off. Can shoot video with it very smooth action. Never shakes or moves. 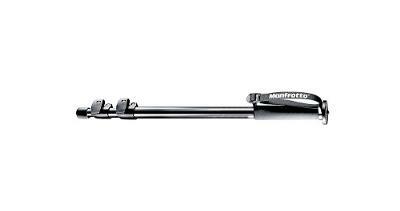 This is the most economical of the Manfrotto Monopods that I have included in my monopod reviews section. The Manfrotto 3216 with the 234 tilting head is recommended to use for videography with sports and action. The tilting head provides tilt for upward and downward movements and you provide the side to side panning by twisting the monopod to the left or the right. The only downside is that if you wish to orient your camera in a vertical position, you must mount rotate the tilt head sideways and then adjust your camera on the mounting screw to face the camera forward toward your subject. Camera Mount 1/4" & 3/8"
Add this to the collection of monopod reviews of in-expensive monopods. Over 93% of customers who reviewed this tripod on Amazon gave it a 4 or 5 star rating. Treat the plastic parts gently and you can't beat the price. The soft foam grip is great in cold weather. The legs have a slot that goes the full length so there is added stability that prevents twisting. It only weighs about 1 pound. It comes with a carrying case and shoulder strap which frees up your hand to carry something else. Your not risking much money if it breaks after the warranty runs out. I just wanted to add a point that monopods are good for shooting video too. A lot of parents are shooting video of their kids in the school play or on the soccer field from quite a distance. They are zooming in quite a bit and this really magnifies movement in both the swivel, the horizontal and the vertical axis. There is nothing worse than watching a video that jumps around and doesn't remain in the same spot on the subject. Monopods take away almost all of the swivel movement and eliminates a good percentage of the the vertical movement. In the case of shooting video of sports, you often want to have the freedom to pan with horizontal movements and using a monopod makes this very easy. 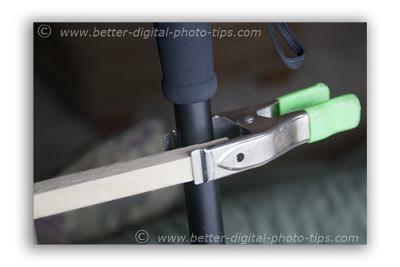 Monopods are also extremely light and easy to carry. It is often easy to lean them against a stationary object like a chair, a fence or even your knee if you are sitting and you get a second stationary point for added stability. The monopods with the three feet are very handy when you are on level ground too. It is heavier than the "walking stick" versions of monopods, but still lighter than the 4-section heavy duty monopods. * 25.6 inches when closed. * 69.4 inches maximum height. * legs tube diameters are 35mm, 30mm, and 25mm. Monopod reviews given by buyers of the 681B gave the following types of photography as the most popular uses: sports and action photography, travel, wildlife, and landscape photography. The leg extension locks are plenty sturdy enough without being hard to tighten. The wrist strap is flimsy and can slip out of the nylon buckle. Don't be concerned that the price being is too low for a quality product. The Manfrotto 681B does not come with a case or bag. The 486RC2 compact Ball head is a great addition to get to use with this monopod. It is fast and simple to set up. It makes no sense to mount a few thousand dollars worth of camera and lens equipment on a cheapo monopod and run the risk of damage. Manfrotto also offers an extended 3 year warranty when you register your product online giving you a total of 5 years in warranty. This Monopod review gives a 5 star rating. This Manfrotto is considerably less than the cost of a carbon fiber monopod and this aluminum monopod is a great buy. This is not one of the specific monopod reviews, but I wanted to add this tip on how to use your monopod by adding a second stability point. You can get blur from any combination of movement of your camera and monopod; forward-backward, left-right, up-down, and rotating-spinning. Monopods can help reduced movements significantly but not in all directions. A great way to add stability is to use a second contact point for your camera or monopod. That secondary contact point may be something close-by like a tree, a fence, a window or a wall. Occasionally when I am shooting a portrait in low light conditions, I use my monopod in combination with any sturdy object that is available. I wrote a more detailed article with additional photos on how to make a monopod act like a tripod: Monopod Stability Tips.